I teach that there is one Law for all citizens of the Kingdom of Heaven, that those who have been grafted into Israel are subject to the same statutes and moral standards as those who were born into Israel. One common–and reasonable–objection is that if the law didn’t apply to gentiles prior to Yeshua’s incarnation, why should it apply after? Wouldn’t that mean a change in the Law itself? For now, I’m going to set aside the distinction between such terms as Jews, Israelites, and Church. It’s an important distinction, but I’ll get to that in a separate article. In this article, I use the term “Jew” as shorthand for the people known as Jews in the time of Jesus and their heirs, because that’s how the term is used in the Apostolic writings. If I wrote of every scriptural evidence that the Law applies to more than only the Jews, I would have to write a book. But then if I had the time to write a book, it would have to be a different one. So I’ll settle for a handful of evidences. There is no distinction between Jew and Greek in our guilt before the same Law, just as there is no distinction in our salvation through faith. Evidence 2: Galatians 3:8-14 And the Scripture, foreseeing that God would justify the Gentiles by faith, preached the gospel beforehand to Abraham, saying, “In you shall all the nations be blessed.” (9) So then, those who are of faith are blessed along with Abraham, the man of faith. (10) For all who rely on works of the law are under a curse; for it is written, “Cursed be everyone who does not abide by all things written in the Book of the Law, and do them.” (11) Now it is evident that no one is justified before God by the law, for “The righteous shall live by faith.” (12) But the law is not of faith, rather “The one who does them shall live by them.” (13) Christ redeemed us from the curse of the law by becoming a curse for us–for it is written, “Cursed is everyone who is hanged on a tree”– (14) so that in Christ Jesus the blessing of Abraham might come to the Gentiles, so that we might receive the promised Spirit through faith. Evidence 3 & 4: 1 Timothy 5:18-19 For the Scripture says, “You shall not muzzle an ox when it treads out the grain,” and, “The laborer deserves his wages.” (19) Do not admit a charge against an elder except on the evidence of two or three witnesses. These are just two examples among many of Paul’s teaching of Torah to Gentiles. To what scriptures was Paul referring? Deuteronomy 25:4 and Deuteronomy 19:15. Since Torah doesn’t apply to Gentiles, why would Paul burden them with its instructions? His words make good sense, of course, but Paul explicitly founded his advice in the Law. He would later write to Timothy that all of scripture, including the Torah, is worthwhile to study and to teach. All of it. And going by Paul’s example, it’s not just good to study, it’s good to do. Evidence 5: James 1:22 But be doers of the word, and not hearers only, deceiving yourselves. James was specifically addressing the Twelve Tribes in Diaspora, so this doesn’t directly counter the original objection. But if the objection is correct, and Christians have no responsibility to keep the Law at all, then they should remove this letter from their Bibles altogether because it wasn’t addressed to them anyway. All this talk of law would probably only confuse them. On the other hand, I know that many people teach believing Jews that they must abandon Torah when they come to faith in Yeshua. James, the head of the church in Jerusalem, obviously disagreed. Faith in Yeshua (aka Jesus) does not abrogate the responsibility to keep the Law, but rather establishes obedience as effectual for the holiness of all believers. Evidence 6: 1 John 3:4 Everyone who makes a practice of sinning also practices lawlessness; sin is lawlessness. John, in addressing some common early heresies, defined sin as living without the Law. One could object that John meant living without any law and not specifically the Law of Moses, but I think that seems a little silly after Evidences 1-5. I think we can all agree that he wasn’t talking about Roman civil law or Jovian ecclesiastical law. I have already gone beyond the “handful” of evidences I intended, but I really should add a few from the older scriptures for the benefit of any Jews who might be following along. This is just about as plain a statement as you could want. Those non-Israelites who join themselves to God must never say that they are separated from his people, the Israelites. Just as Paul would write hundreds of years later: under God there is no difference between Jew and Greek. If gentiles worship the true God and keep his commandments, then they will be invited into his house. The implication is that, if they do not keep the Sabbath, they will not be invited, and their offerings and sacrifices will not be accepted. Perhaps this is why David wanted to teach God’s Law to everyone. He was a man after God’s own heart, after all. Evidence 8: Psalm 119:46-47 I will also speak of your testimonies before kings and shall not be put to shame, for I find my delight in your commandments, which I love. Although he used two words, “testimonies” and “commandments”, the context indicates he meant them to be synonyms. If you aren’t as sure as I am, that’s understandable. Look a little further into Psalm 119, and maybe you will be convinced. Evidence 9: Psa 119:118-119 You spurn all who go astray from your statutes, for their cunning is in vain. All the wicked of the earth you discard like dross, therefore I love your testimonies. David wrote that God spurns all who go astray from his statutes. Not just the Israelites or the Jews. “All the wicked of the earth.” Since he did not want to be spurned, discarded like dross, he chose to love God’s testimonies. These lines are even clearer than the previous ones that “testimonies” was used synonymously with “commandments” and “statutes” throughout Psalm 119, and that all three apply to gentiles as well as to Jews. Appropriately enough for the topic, I will conclude with a tenth scriptural evidence that the Law of God applies to all people, though there are many more to be found. Evidences 10: Zechariah 14:18-19 And if the family of Egypt does not go up and present themselves, then on them there shall be no rain; there shall be the plague with which the LORD afflicts the nations that do not go up to keep the Feast of Booths. This shall be the punishment to Egypt and the punishment to all the nations that do not go up to keep the Feast of Booths. Sukkot (the Feast of Booths) memorializes Israel’s time in the wilderness and prophesies of the coming of the Messiah. One could spiritualize this passage to avoid the issue–and the allegorical interpretation might not be entirely incorrect–but the literal meaning is quite clear. The day will come when any nation on earth that does not keep Sukkot will also not receive rain. Sukkot, which means “tabernacles” or “booths”, is a festival that happens every Fall. It memorializes the time that Israel spent wandering in the wilderness living in sukkot and is the most likely time when Yeshua was born, hence the prophecies of the Messiah coming to tabernacle among his people. The manger probably wasn’t a feeding trough, but a tabernacle, a temporary shelter constructed in obedience to the command to live in sukkot for one week every year. Although it isn’t kosher by rabbinic standards, we set up our tents in the yard every year and try to sleep in them as much as possible for that week. 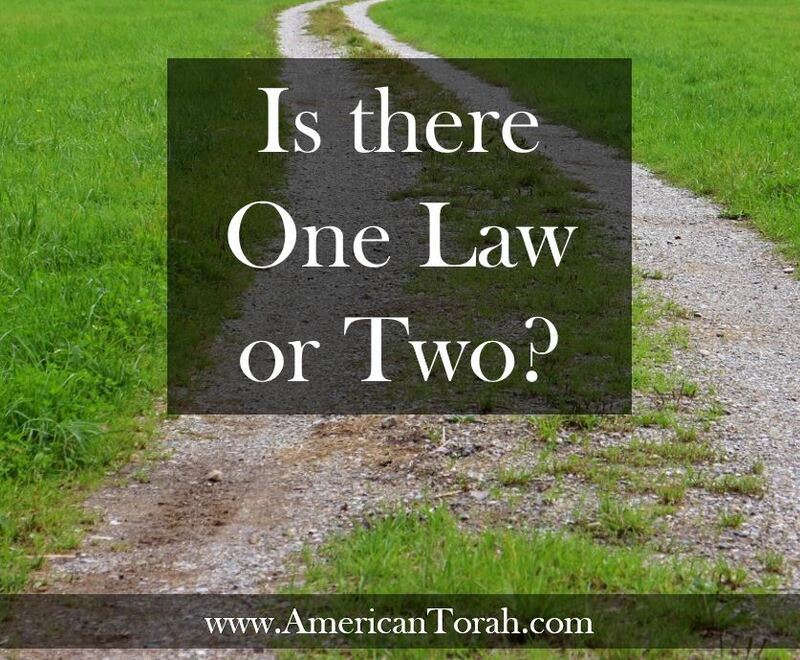 So, keep Torah (the Law) or not. Just don’t say that God never intended for non-Jews to keep it. The Apostles disagree. *Be careful not to conflate the Sinai Covenant with the Law itself. The Law was included in the Covenant–Jeremiah says that the New Covenant also includes the Law–but it isn’t identical with the Covenant. Sukkot is that one week of the year when every Jewish neighborhood turns into a shanty town. The word “sukkot” is usually translated “booths” or “tabernacles”, but more literally means lean-tos, as in a temporary shelter assembled quickly from whatever materials happen to be close at hand. Traditionally, a sukkah (the singular form of sukkot) is a three-sided shelter made of tree branches with an open-lattice roof, but these days, you can see them built out of everything from PVC pipes and plastic to 2x4s and plywood. Some of us less conventional types put up a tent or borrow a portable bicycle sukkah for a few minutes. Yes, that’s exactly what it sounds like: a small sukkah mounted on the back of a bicycle for feast keepers on the go. 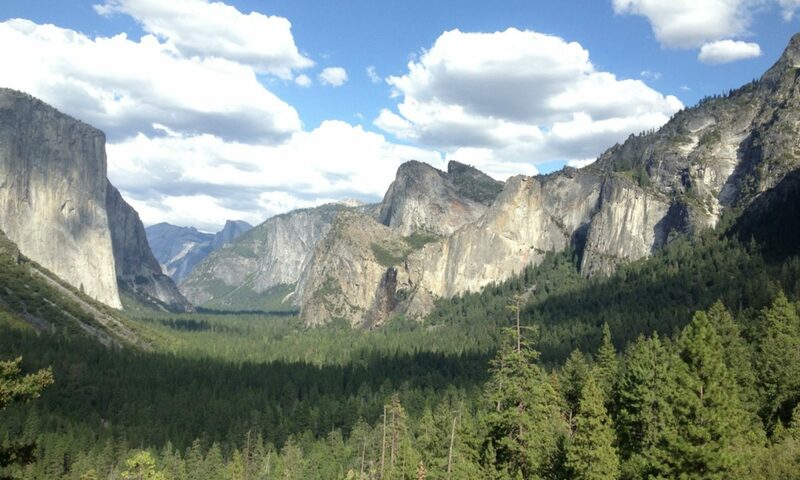 There are two holiday seasons on God’s calendar: spring and fall, with one that’s set more-or-less in the middle. The spring feasts, collectively known as Passover are in the Hebrew month of Nisan, roughly corresponding to March/April. The fall feasts, including Yom Teruah, Yom Kippur, and Sukkot, are in the Hebrew month of Tishri, exactly six months later. Shavuot (aka Pentecost) is about 7 weeks after the start of Passover in the Hebrew month of Sivan. Sukkot breaks this pattern in that it’s not about something God did, but about something the people did. Starting from the very first night of the Exodus when the Hebrews built sukkot at a placed named Sukkot (Exodus 12:37), they slept undisturbed in a wilderness that was barren, but not uninhabited. They didn’t have guards except to keep unauthorized people from hurting themselves in the Tabernacle. They didn’t assign watches at night. They walked through the lands of Midianites, Amalekites, and and other semi-nomadic peoples who proved that they were more than willing to do the Hebrews harm despite the dramatic defeat of Egypt, yet they slept safely in the flimsiest of structures with nobody to watch over them except for that towering pillar of fire and smoke. In the wilderness, Israel was completely under the protection of God Almighty and nobody but Israel could compromise that security. The didn’t have to build fortifications or post guards because God kept watch of the camp of Israel. 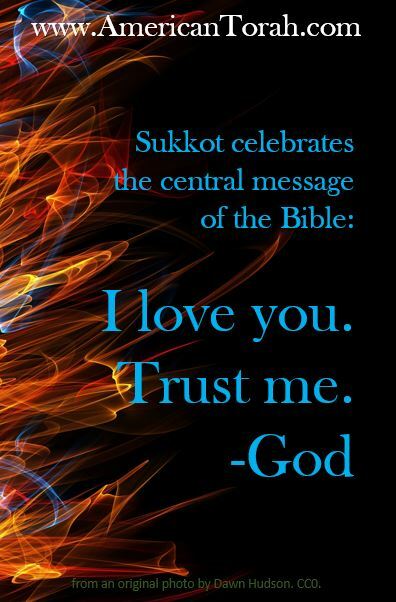 This is what Sukkot is really all about: the divine providence of God. 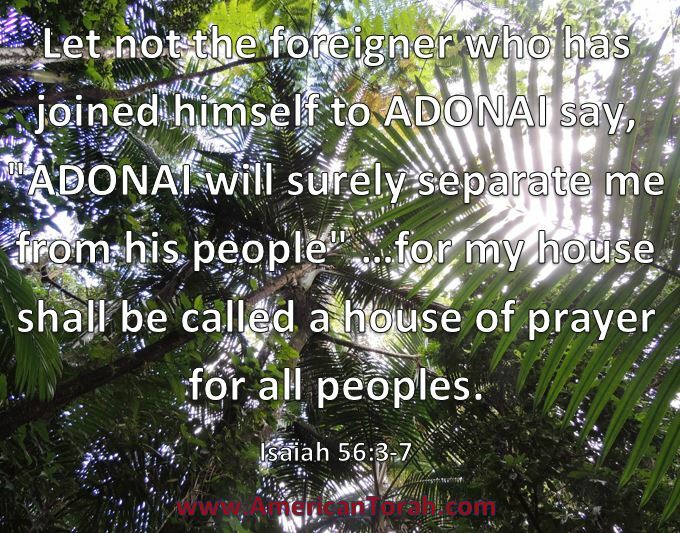 God said to live in sukkot for seven days every year not just because the Hebrews lived in sukkot in the wilderness, but because they lived and ate and slept in ultimate security in fragile structures with no locks or barred doors in a country peopled by hostile nations. * All of the feasts look both backward and forward. They memorialize things that happened in the past and prophecy things that will happen in the future, especially where events center on the Messiah. That aspect of the feasts will have to wait for another post! Last week we celebrated Sukkot with our small community in Brenham, Texas. If you aren’t familiar with Sukkot, you might know it better by the name Feast of Tabernacles. (See Lev 23:34-43.) “Sukkot” is Hebrew for “tabernacles”. “Sukkah” is the singular form. The themes of Sukkot appear over and over in the writings of the prophets. I suspect there might be more end-times prophecy surrounding Sukkot than any other single, biblical holy day. All holidays come with their traditions. You’re probably familiar with the Thanksgiving turkey, but have you heard about the Sukkot gumbo? It’s actually a pretty recent innovation, but it’s one of my favorites. My wife is an outstanding cook and every year she puts together a giant pot of this amazing stuff–made with chicken and all beef sausage, of course. No shellfish or pork in our gumbo! Another tradition–one more widespread and well established–is the building of a sukkah from tree branches, palm fronds, and other natural materials. A sukkah is a temporary dwelling place with three walls and a roof that is good enough to provide shade, but loose enough to be able to see the sky through it. This tradition goes back to at least the time of Nehemiah (Neh 8:13-18) and possibly all the way back to the Hebrews wandering in the wilderness. Technically, Torah only says to celebrate with the fruit and branches and also to live in sukkot for seven days, but Nehemiah interpreted this to mean they were to build their sukkot from the branches, and this is still how it’s done today. 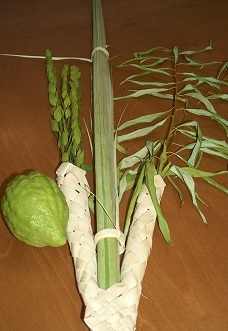 A Sukkot etrog and lulav. By the first century AD, a completely different idea had taken root, that the fruit must be an etrog (also known as a citron) and the branches of three specific kinds of trees must be bound together in a “lulav” and waved a certain way. While it’s not strictly biblical, there’s nothing wrong with this practice, and the rabbis draw an interesting and valuable lesson from it. Each of the four species (etrog, palm, myrtle, and willow) represent a different kind of person, and all of them are bound together at Sukkot because it takes all kinds of individuals to make a whole nation. Maybe you’re a palm tree or maybe you’re a willow of the brook. Whatever your race or personality type or skill set, God has called you out to be a part of His people, to be one of the branches used to build the Tabernacle of Messiah. I can’t remember for certain where I first heard this allegorical story of Christmas–probably on Mark Call‘s radio show–but I have never forgotten its message. It involves a recently married couple. The wife has a sordid past, and her husband gave up nearly everything to help her put it behind her and heal from her many emotional, spiritual, and physical wounds. I have embellished it somewhat from the original. Here, we overhear them discussing his birthday. It gets worse. Here is another conversation at a later date. God specifically told us not to adopt the religious customs of pagans. He told us not to join in their feasts. Yet we do it anyway, year after year after year, and we say it’s all good because God knows our hearts. He does indeed. Do you? What would you think of a wife who continued to celebrate the birthdays and deeds of horribly abusive ex lovers while claiming she did it for her husband who told her not to? How pure can your heart be if you still pine after your slavery and fornication?